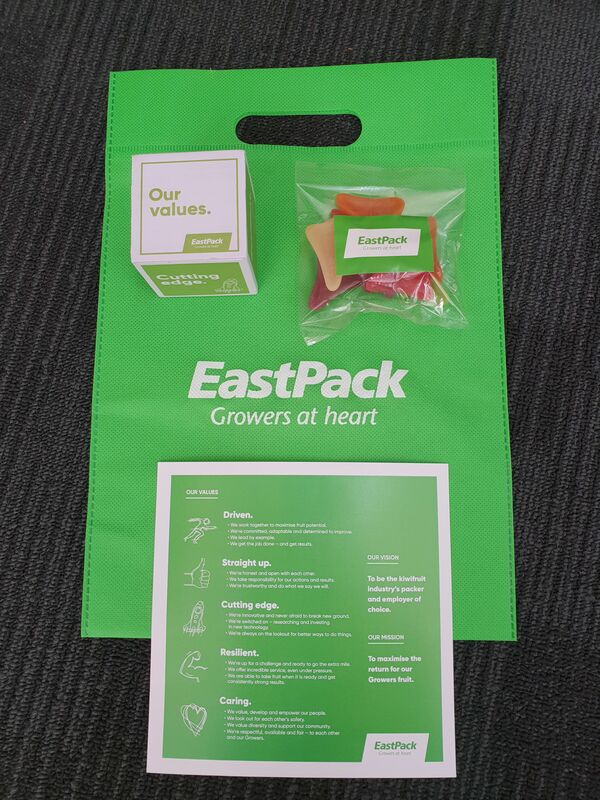 For those lucky enough to work at EastPack, they receive this very smart welcome bag with their company values box containing a yummy bag of jet planes. We thing their values document turned out great too. EastPack is the largest post-harvest service provider with some of the most sophisticated equipment in the industry.